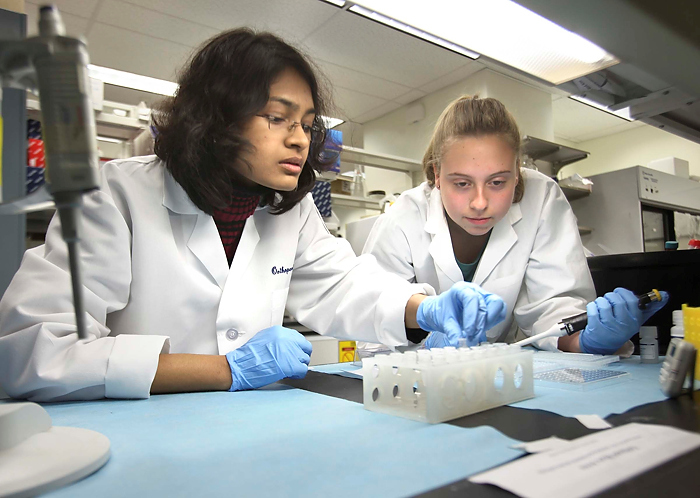 Connecticut is pursuing Bioscience Connecticut, an ambitious initiative to stimulate economic growth and create jobs by establishing the state as a national leader in high-technology fields such as bioscience and engineering. 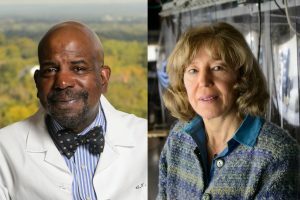 The state’s prominence in these areas was highlighted recently by honors and grants awarded to UConn Health Center faculty member Dr. Cato T. Laurencin and his colleagues at the Institute for Regenerative Engineering. Laurencin is the director of that institute, director of the Raymond and Beverly Sackler Center, and chief executive officer of the Connecticut Institute for Clinical and Translational Science at UConn. He led the Health Center’s efforts to establish Bioscience Connecticut. In December, the National Academy of Inventors named Laurencin an NAI Fellow. Only 143 innovators and inventors in the country were selected for the honor. In announcing the recipients, the NAI noted that election as an NAI Fellow “is a high honor bestowed upon academic innovators and investors who have demonstrated a prolific spirit of innovation in creating or facilitating outstanding inventions and innovations that have made a tangible impact on quality of life, economic development, and the welfare of society.” Laurencin, who says that he is “honored and humbled” to have been named to the prestigious group, has also been invited to speak at NAI’s annual meeting in March 2014. The Institute for Regenerative Engineering also recently received a large grant through the National Science Foundation’s Accelerating Innovation Research (AIR) Program. The program aims to speed the pace at which academic research is translated into innovative products for the marketplace. In the case of the Institute for Regenerative Engineering, Sangamesh Kumbar, Laurencin and other researchers are developing a new class of materials that have the strength of bone and can potentially be used to create implants to repair fractures of the spine. They are also working on new technologies to heal long bone fractures and regenerate tendons. 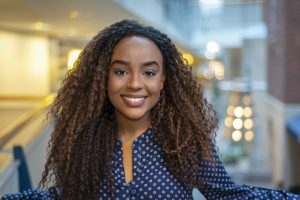 The team’s work has spawned several Connecticut-based startup companies. 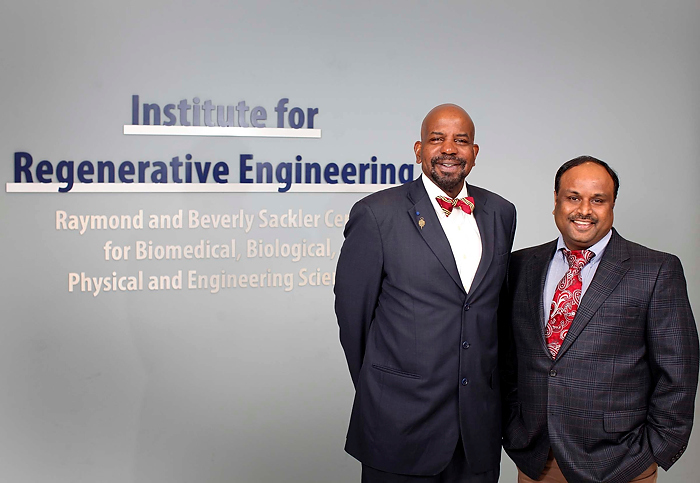 Natural Polymer Devices Inc., which focuses on innovative materials for the repair and replacement of damaged bone, is a joint venture of Kumbar and Laurencin, with assistance from UConn Ventures, the university’s research and development arm. Soft Tissue Regeneration Inc., which Laurencin founded, is currently conducting human clinical trials of its patented and proprietary technology for anterior cruciate ligament regeneration and, with support from the AIR grant, is developing next-generation technologies for rotator cuff regeneration. Connecticut Innovations, the state’s technology investment arm, has invested in both companies, providing guidance and monetary support to help move new products forward. In addition to developing new treatments that help heal and cure patients, Laurencin notes, research stimulates job growth in regions where it takes place. This year Laurencin’s Institute brought in the National Science Foundation AIR grant, as well as other translational research grants from the National Science Foundation and the National Institutes of Health. “Every million dollars in grants translates to 11 jobs created or supported in Connecticut. 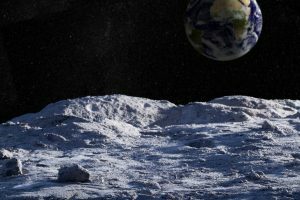 And a million dollars in new grant funding can translate into a new invention, which can translate into a new patent, and perhaps even a new company. Research has the ability to generate jobs in a number of ways,” says Laurencin. Laurencin sees the AIR grant as contributing to the state’s “entrepreneurial ecosystem.